Summer is well and truly on the way and what better time of year to give your home a much-needed makeover, so that you can make the most of the good weather and enjoy spending time around the house or in your garden. Before undertaking any makeover, be sure to establish just how much you are willing to spend on your home improvement work and set a budget so that you can keep your spending on track. You do not need a lot of money to make a few simple changes that will add a new lease of life for your home, just in time for the warmer weather. First, you will need to decide which room or part of your home that you want to give a new summer look and feel. Make sure that you remain realistic and do not try to take on too much, or you could end up feeling more stressed than serene! 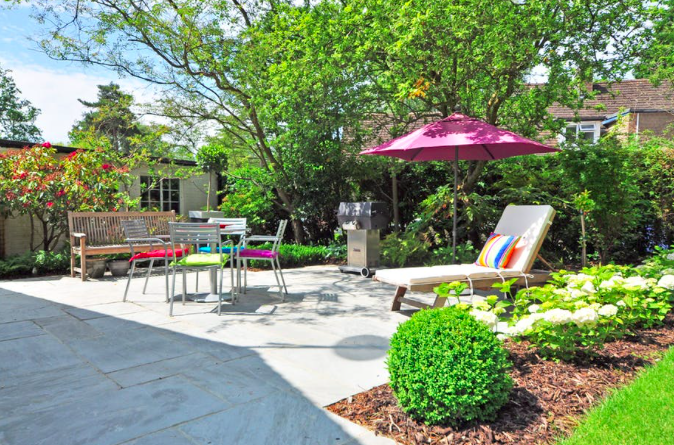 If you are focusing your attention on the outside of your home, then you may want to consider investing in summer plants and outside accessories to make the most of your garden. While the inside of your home will look stunning if you add some pops of vibrant colours and seasonal greenery, to bring the outdoors in. Even if you are not looking to sell your home you may be surprised to find that your makeover could add value, visit here to find out more information. Once you have decided which part of your property needs some attention, you can begin to start planning and purchasing. Summer is the perfect time of year to give the outside of your home some much-needed care after the winter months. So, if you have let the guttering become damaged or untidy, have yet to sweep up any debris from your driveway or even have several visible cracked tiles on the roof, then you will need to make sure that you fix these parts of your home. You could also consider giving your window and door frames a new lick of paint so that they look new and attractive now that the weather is warmer. Do not forget to show your garden and any outside spaces that you own some attention also. If you have a summer house that is looking a bit tired, then give it a new bright tone of paint, meaning that you can sit outside and enjoy the long summer evenings. A cheap hack is to plant up a few pots of herbs and flowers right outside your back door so that the smell wafts into your home- plus you will also keep the insects at bay. Finally, if your garden is still looking a bit tired and overgrown since the colder months, then be sure to cut back any overgrown shrubs or bushes, and make sure that your flower beds and vegetable patch are free from weeds and grass. Not only will this make your garden look more attractive, but you can also make the most of your outdoor space and enjoy it for entertaining and spending time with friends and family too. Don’t forget to get your garden furniture out of storage. Tidying up the outside of your home will mean that you are more inclined to host summer parties and maybe even get the barbeque out. You can make an interior makeover seriously summery, with some accessories that are bright and bold. Choose warming and bright lighting, to make the most of your living and entertaining areas, and be sure to finish off with bursts of colour by choosing vibrant cushions and blankets to create a welcoming atmosphere. Another easy trick to bring the outside in is by using fresh and seasonal flowers around your home, creating a sense of space and light even if you live in a slightly cramped and dark house or flat. Plus, flowers are an instantaneous improvement for any space. Choose candles that have a summery fragrance, or create the same smell as freshly washed linen or lavender, and your guests will never want to leave your home. Summer is also the ideal time of year to get rid of any items or objects that you have at home, but no longer use or need. If you are not sure where to start, then consider asking your friends and family around to help you sort out your clutter, and make sure that you donate or give any items that you no longer use to charity. You could also consider giving your furniture a shuffle so that you try moving larger items into different rooms of your home to create a sense of space. Older pieces of furniture can be given a new lease of life with a cushion or throw, and you need not spend a fortune either. Finally, be sure to invest in some summer pottery, or pick up a few bright pieces on your travels, to create a dinner table look that welcomes the Mediterranean into your home. Summer is the ideal time of year to get creative and give your home a summer makeover. Remember to set a budget so that you do not spend too much, and remain realistic as to how much work you want to do on your property. Start by fixing up the outside of your home and carry out essential repairs, such as repairing the guttering. Then be sure to give your garden and outside spaces some TLC, so that you can make the most of the warmer weather and invite your friends and family around. Do not forget to get your garden furniture out of storage. If you are looking to give your interior a makeover, then be sure to choose bright and bold accessories, and add colour and life to any space by using fresh flowers. Make sure that you consider moving your furniture around too, to experiment with the space in your home. Summer is the ideal time of year to get creative, so why not consider which changes you can make so that you truly enjoy your home.